Happy French Friday! This is the second of four “celebratory” posts to ease ourselves to the French Fridays with Dorie finish line. This week we are to choose a recipe that “taught you a technique or gave you an idea or provided a lesson of some kind”. 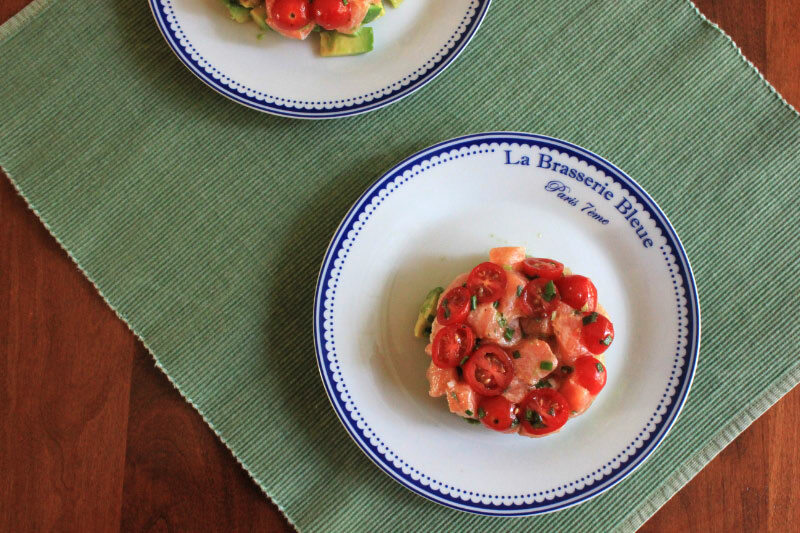 One of my favorite aspects of participating in French Fridays with Dorie was that it pushed me to make recipes I may have otherwise skipped over. Perhaps they sounded too difficult to make, or just didn’t appeal to me. Sometimes I was right to be hesitant about a recipe, but other times I was pleasantly surprised. Either way, I learned a new technique or tried a new ingredient or combination of ingredients. One such recipe was Dilled Gravlax with Mustard Sauce. 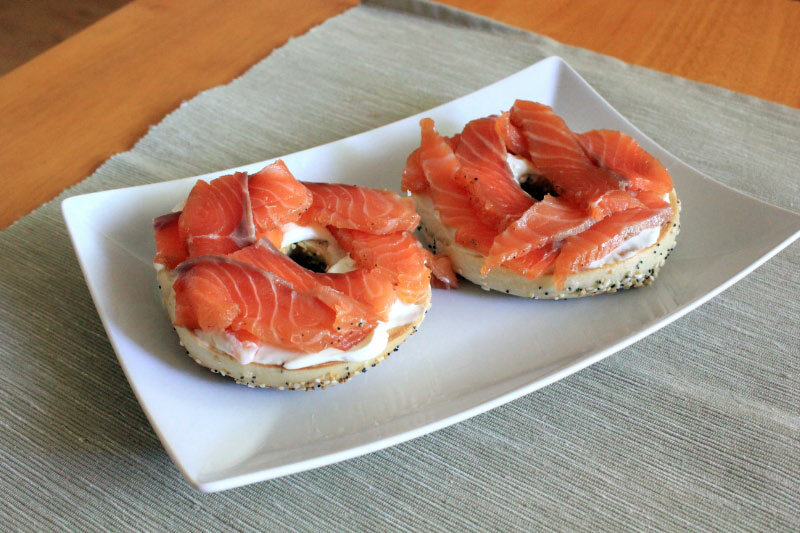 I had seen gravlax recipes in other cook books I own. Maybe I didn’t know what to expect as the end result, but whenever I would read through one of these recipes, my eyes would glaze over and I would think “too difficult”, or “not worth it”. So I passed them by. Then came the week we were to make Dilled Gravlax for French Fridays. By then, I knew I was going to attempt to go the distance and make every recipe from the book. So I made the gravlax. And guess what? It was easy and it was delicious! Who knew? Olive Oil Ice Cream – A flavor I wouldn’t expect in ice cream, but that was delicious (especially with chocolate sauce). Riviera Fish Soup – Pureed fish soup? Yes, when it has the wonderful flavors this soup has. Cold Melon-Berry Soup – I could not get my head around this one, but I found it refreshing and delicious. Curious about other Never-Doubt-Dorie Moments? Check out what everyone else thought here. 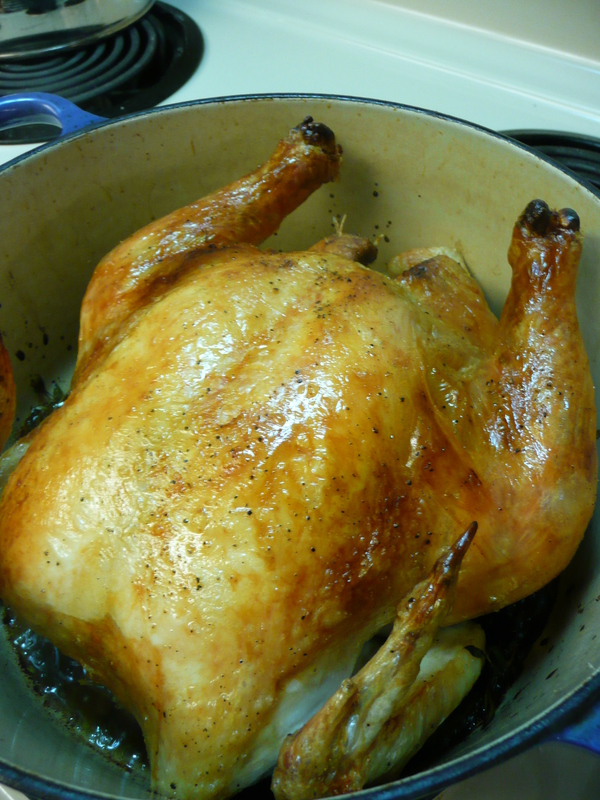 Roast Chicken for les Paresseux! I have made this recipe many times, perhaps the most of any other recipe from the book. 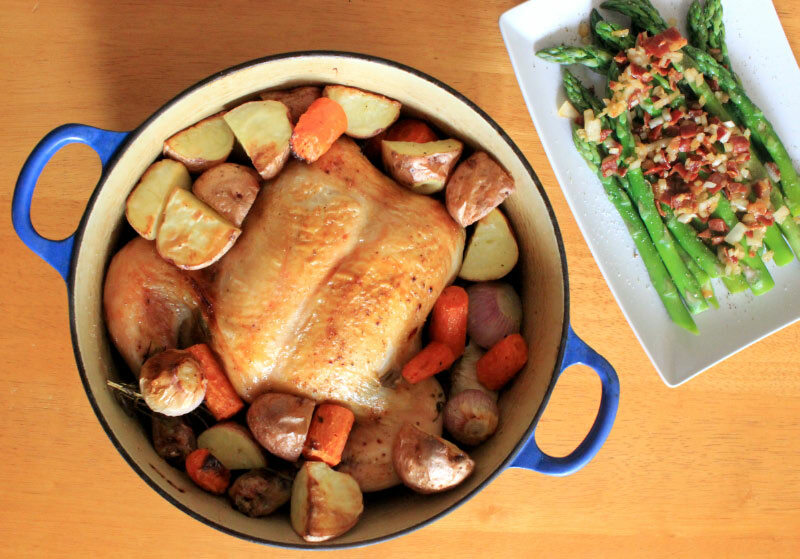 I love roast chicken and this is a good recipe (and easy!). My whole family loves this one. This recipe represents the quintessential Dorie recipe that is more a technique than a recipe. I love the options she gives us: Add root vegetables. Or not. Make a sauce. Or not. Share the super-tasty, sinfully delicious piece of bread. Or not. Honorable Mentions: Saint-Germain-Des-Pres Onion Biscuits, Provençal Olive Fougasse, Salmon Tartare, Armagnac Chicken, Café Salle Pleyel Hamburger, Brown-Sugar Squash and Brussels Sprouts en Papillote. You may notice that the list above does not include any desserts. That’s because I had a hard time narrowing it down to just one to include on the Top 5 list. So I made a top desserts list instead! These three desserts are the ones I think about most often and dream about making (and eating) again. There you have it! There are many other recipes that didn’t make these lists that are still delicious and I would make again. I can’t wait to read the other favorites lists! If you are interested in seeing what the other Dorista’s chose as their favorites, check out the links here. 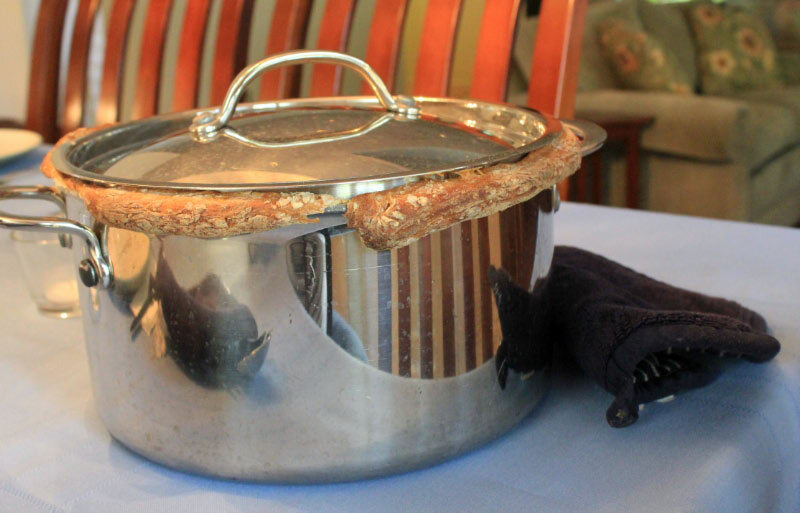 FFWD: Chicken in a Pot – The Final Recipe! Here we are! 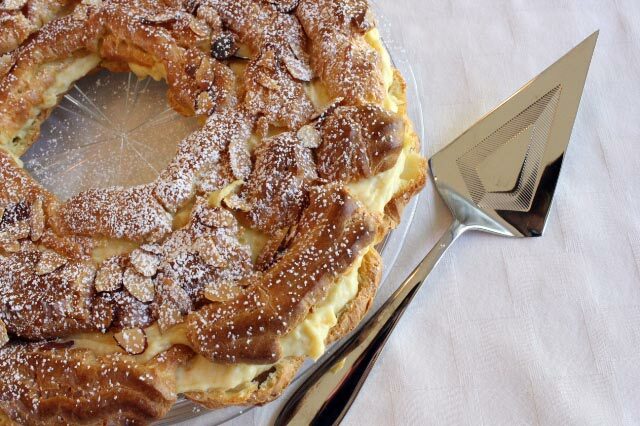 The final recipe from Around My French Table! It’s hard to believe I have been doing this for four and a half years (the project began in October 2010; I joined in January 2011). When I started, I thought it would just be a fun thing to do for my new blog. Back then I had no idea that I would actually complete every recipe and what a tight knit group us Doristas would become. It’s been a fun adventure! 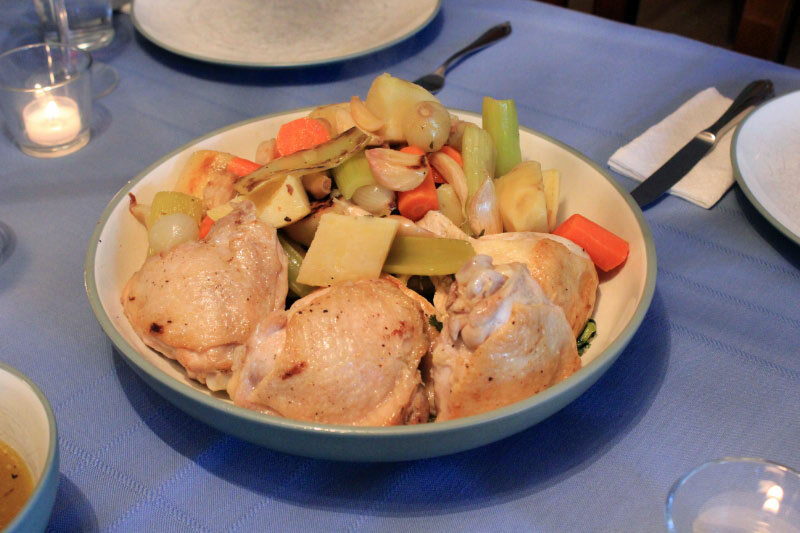 Now, about the recipe, Chicken in a Pot: the Garlic and Lemon Version. We saved the cover recipe for last. 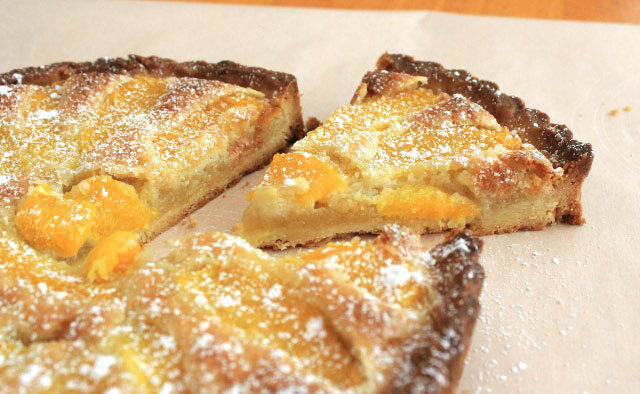 This recipe represents classic French home cooking at it’s finest. Dorie’s version has us toss preserved lemon peel, sweet potatoes, pearl onions, carrots, celery, a whole lot of garlic, and various herbs into a big pot (after sauteing them for a bit). Next we add browned chicken pieces and a bit of wine and broth. I used a combination of thighs and breasts. The pot is sealed with a simple dough made from flour and water. This locks in the flavors and infuses the chicken and vegetables with wonderful herbiness. My parents had great timing. They drove down from Seattle this week to babysit so my husband and I could enjoy a few days to ourselves. The day they arrived I made them this. It was a huge hit! 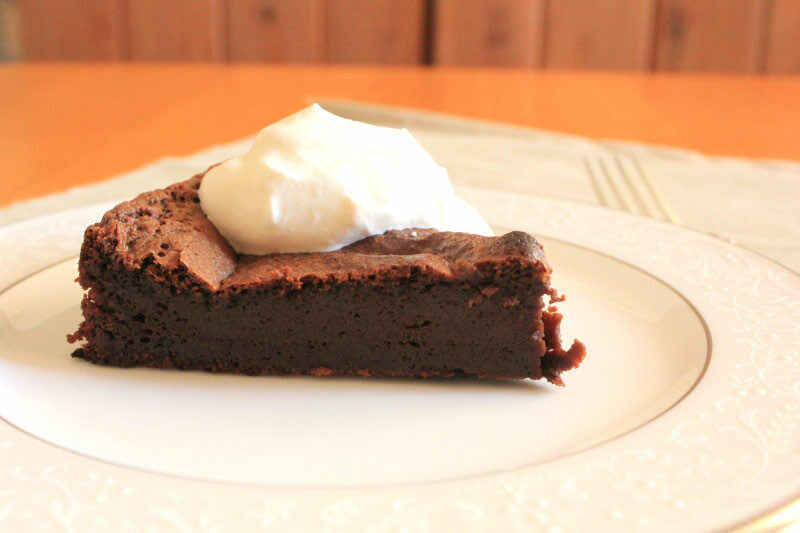 There are many reasons why this recipe was the perfect choice for our last recipe. Not the least of which is it contained some of my husband’s (and the rest of the family’s) favorite foods (chicken, sweet potatoes, and garlic), so it was sure to be a crowd-pleaser. The chicken was so flavorful and juicy. The vegetables were delicious, though a few of them could have cooked a bit longer. We all loved spreading the garlic on the crusty bread. Nice to end on a high note! Even though this is the final French Fridays with Dorie recipe, this won’t be my last French Fridays post. We will be doing a series of retrospective posts to look back on our favorite recipes. It will certainly be bittersweet. Happy French Friday! It’s hard to believe how close we are to finishing Around My French Table. Just one more new recipe and four retrospective posts left to go! 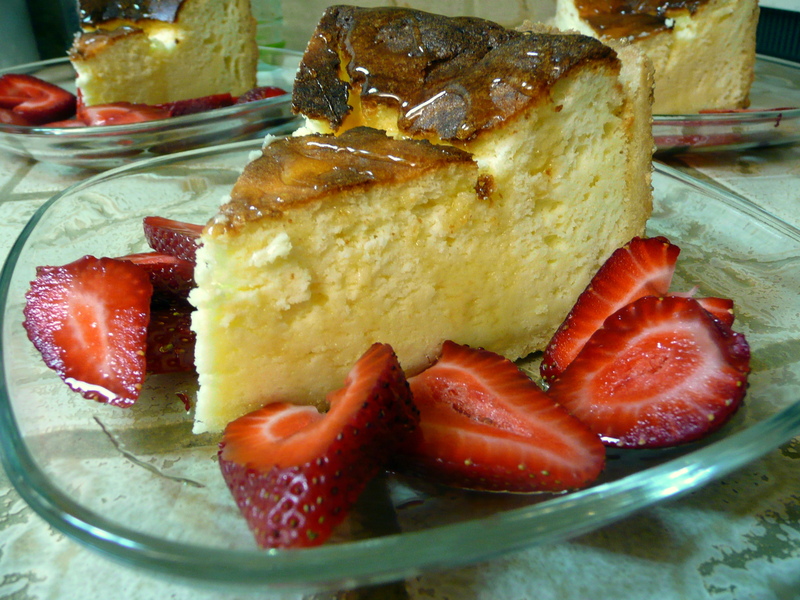 This week I will be talking about two week’s worth of recipes: Seafood Pot-au-feu and Cheesecake Tart. 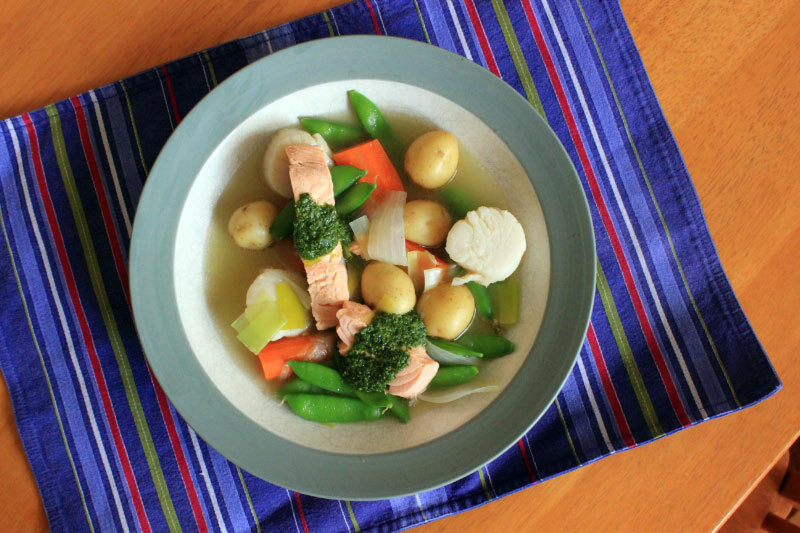 Seafood Pot-au-feu is the perfect dish for Spring! 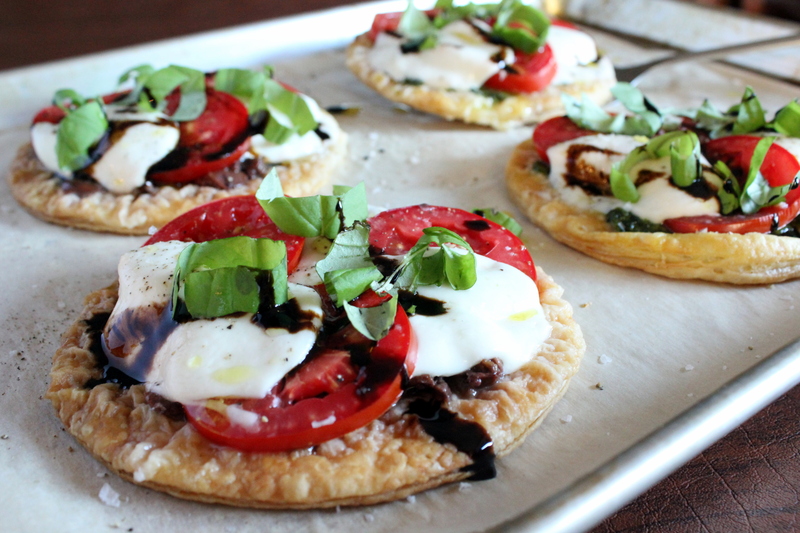 Light and healthy, and pretty too. 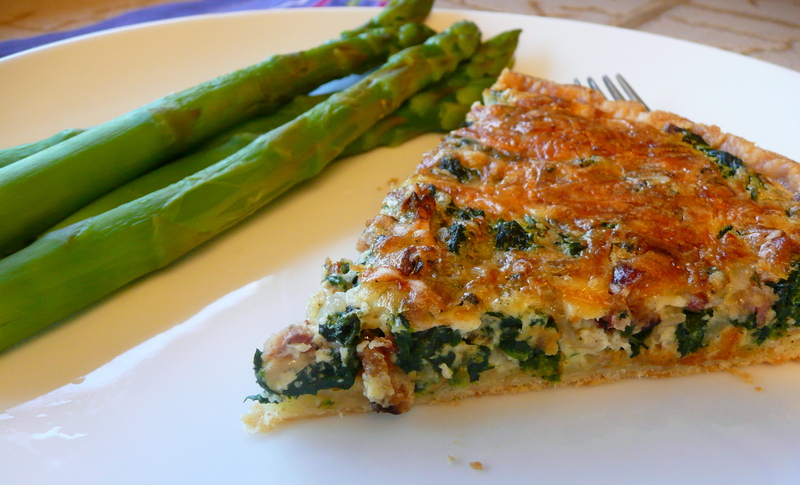 This recipe is a lighted-up version of the classic French dish. 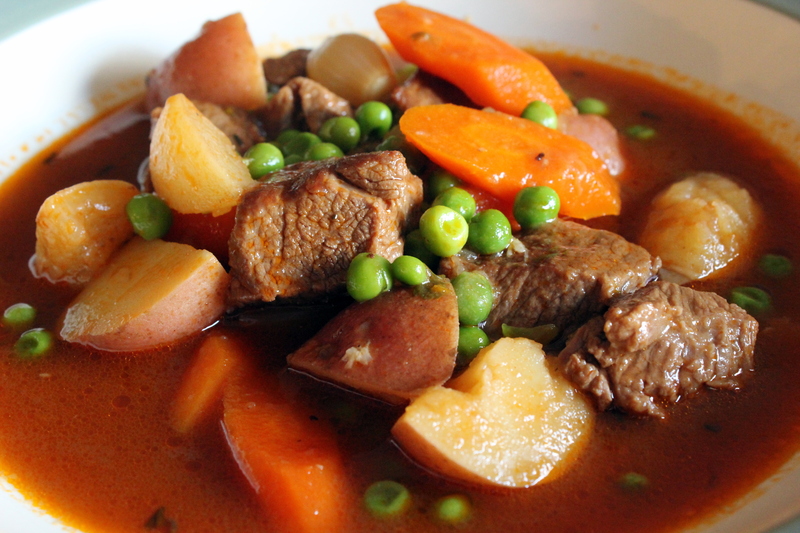 This light stew consists of a bright combination of vegetables and seafood. The veggies include small potatoes, spring onions (which I actually found! ), carrots, leeks, and sugar snap peas. I left out the mushrooms because certain family members don’t care for them, and while I like mushrooms, they didn’t sound good to me in this particular recipe. 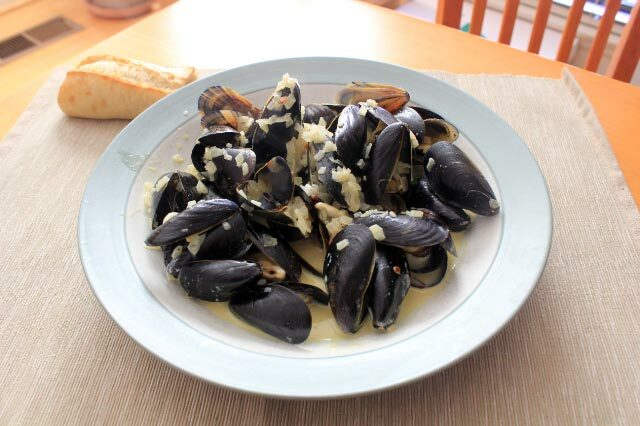 For seafood, Dorie recommends mussels, salmon, and sea scallops. Due to family tastes, I used only salmon, and included three scallops just for me. Luckily, we all like salmon! I served the optional pesto as a garnish. Reactions to the recipe were mixed. 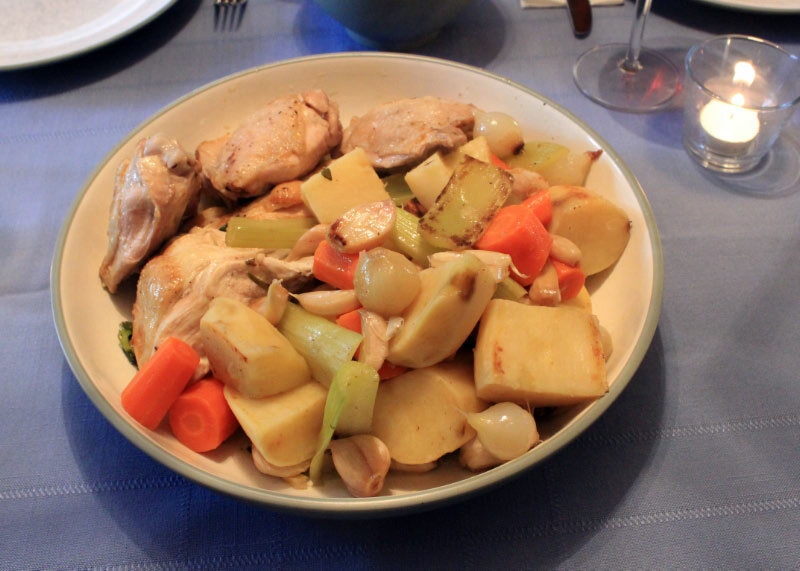 I really liked it, but wished I had cooked the carrots and potatoes a bit longer. My husband enjoyed the salmon and veggies, but overall felt it wasn’t very cohesive (I think he specifically said it lacked “synergy”). We both agreed the pesto was a nice addition. My daughter ate her salmon as long as she had ketchup to dip it in. Our final dessert, Cheesecake Tart, was kind of a dud for me. 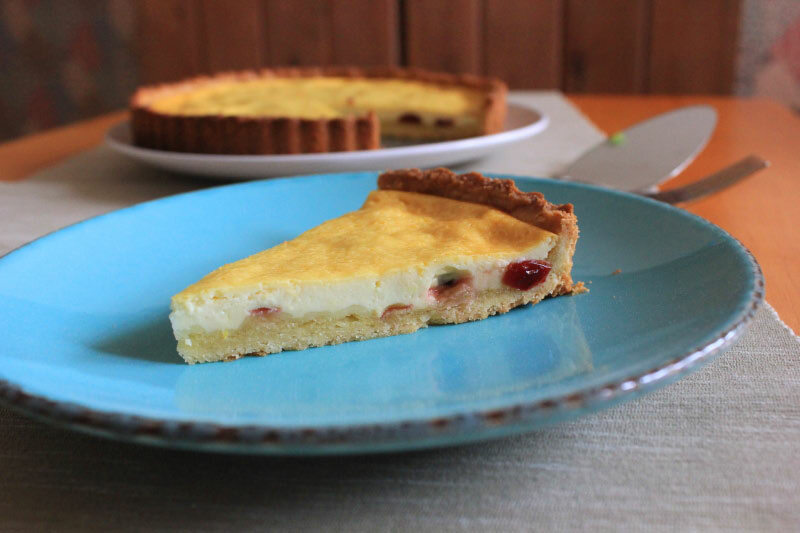 It’s basically a tart shell filled with a cheesecake-like filling and dried cranberries. There was nothing particularly wrong with this recipe (except I felt the filling was a little rubbery), it’s just that I like some of the other desserts in the book so much better. The best thing this recipe has going for it, is that it gave me a chance to enjoy that wonderful Sweet Tart Dough recipe again. I may or may not have scraped away some of the filling to enjoy the shell unadulterated. 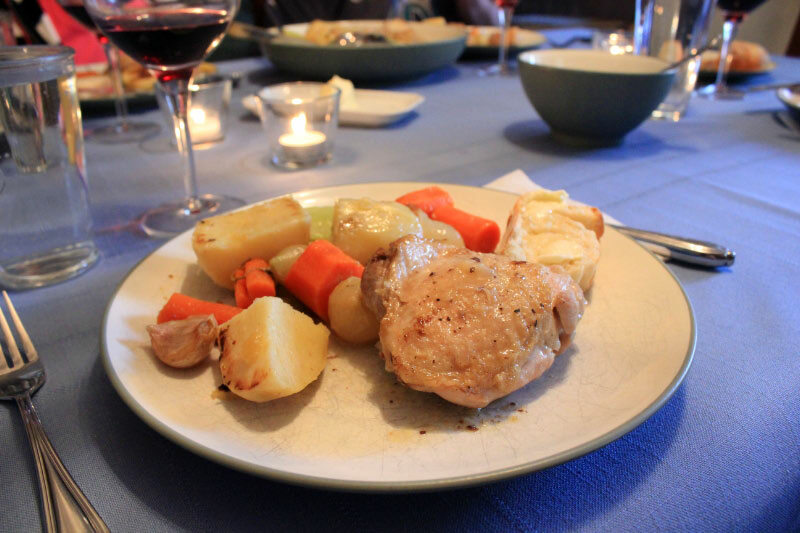 This post participates in French Fridays with Dorie, an online cooking group that has nearly finished cooking our way through Dorie Greenspan’s book Around My French Table. Happy French Friday! 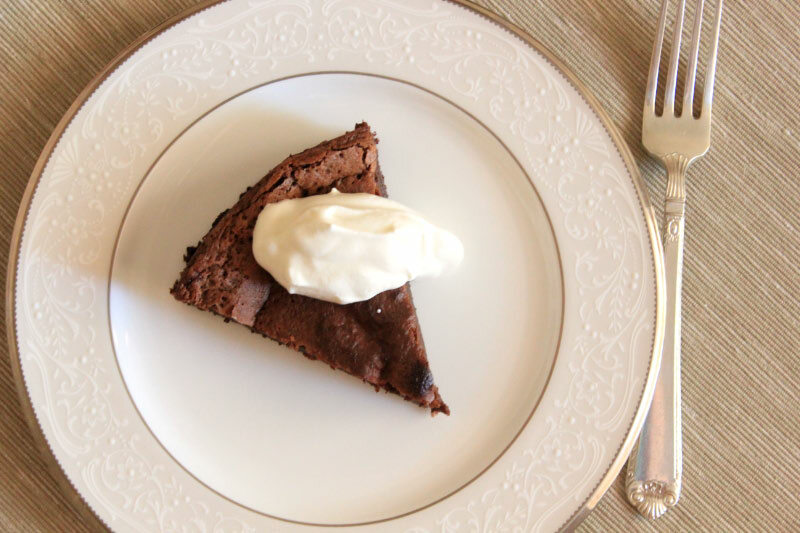 I’m sad to say, this is the first of the final four recipes from Around My French Table. But, the French Fridays with Dorie crew has some fun “celebratory” weeks planned, so I will have to start poring through the book (and my old blog posts!) to remember my favorites. 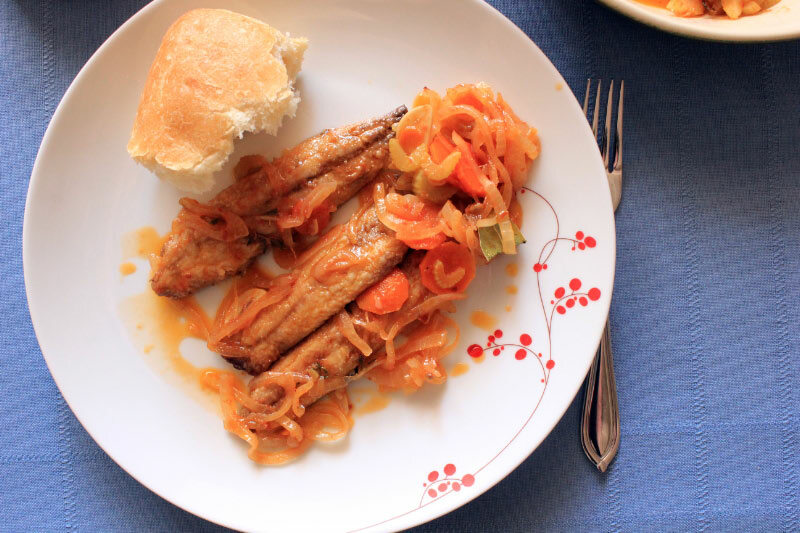 This week was one of the “scarier” recipes: Sardine Escabeche. It calls for fresh sardines. Not something we see very often in the United States. I had originally planned to make this recipe for my parents when I was visiting them in Seattle a few weeks ago. I thought it might be easier to find fresh sardines there, and I knew my audience would be more receptive. Wouldn’t you know, I couldn’t find the sardines (I didn’t look very hard, but I targeted my search to a likely source). 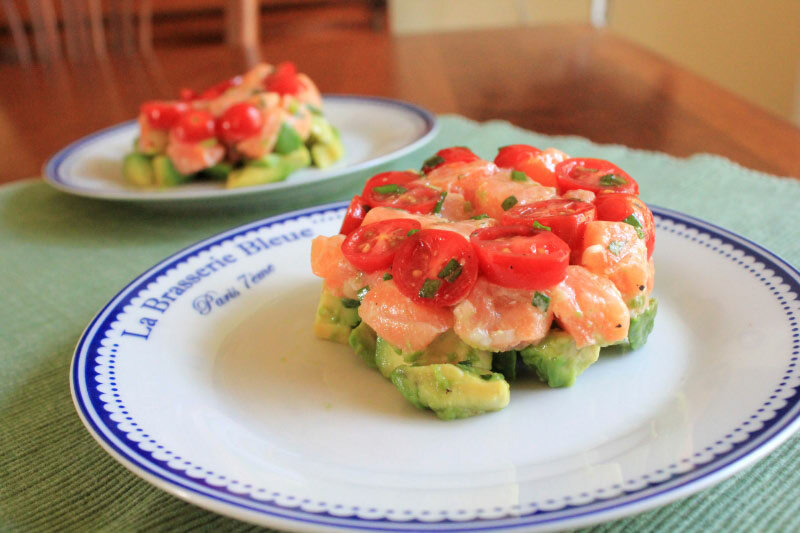 At least I was still able to make them the delicious Salmon Tartare. Who would have guessed it would be easier to find fresh sardines in land-locked Reno? A fish guy at Whole Foods told me they keep them frozen in the back, so even if they aren’t on display they often have them. I wasn’t sure what to expect with this one, even after reading through the recipe. 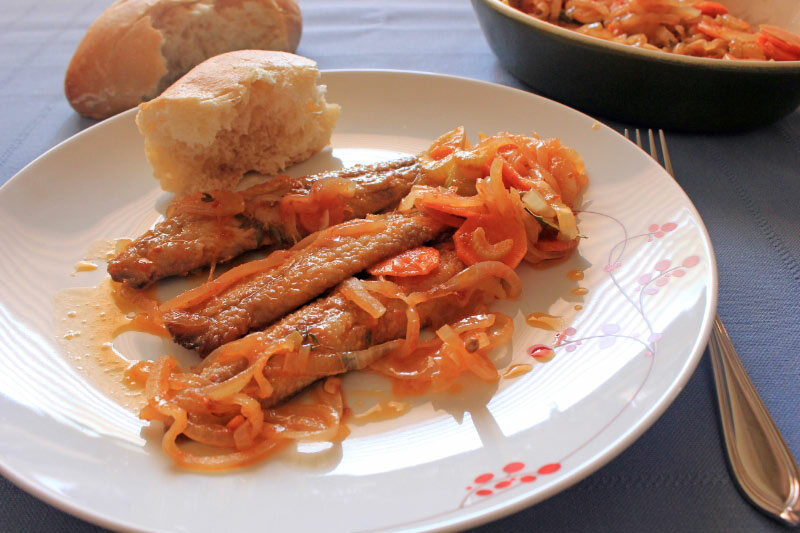 The sardine fillets are dusted lightly with flour and cooked quickly on the stove. Then they are basically left to pickle overnight in a mixture that includes cooked onion, carrots and celery, olive oil, tomato paste, a few herbs and spices, and distilled white vinegar. Verdict? I liked it! It made a satisfying lunch served with crusty bread to sop up the sauce. I am sure my parents would have liked it. The only problem is, I kept wanting to be sitting outside in the sun next to the Mediterranean with a glass of white wine while eating this! If you decide to try this recipe and need to fillet your sardines, this video by Jamie Oliver was very helpful (thanks, Mardi for sharing!). It was a lot easier than I expected. I will see you next week with the final dessert from AMFT. Have a great weekend! Happy French Friday! 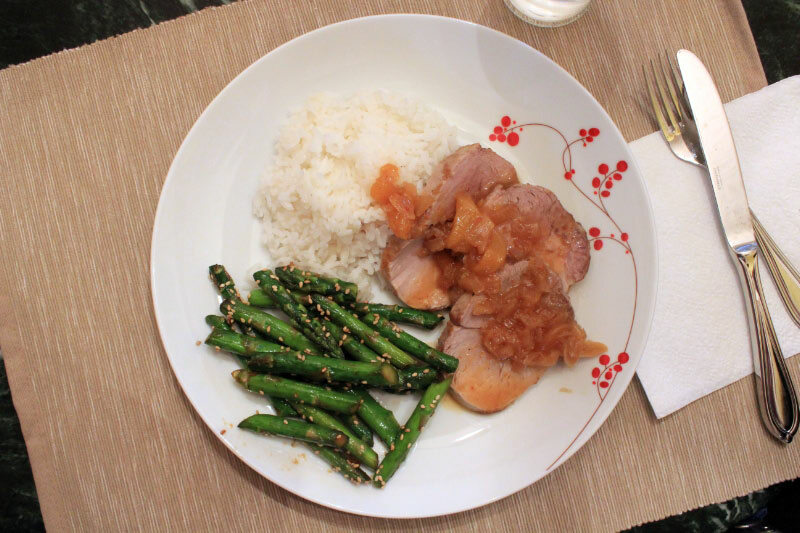 This week for French Fridays with Dorie, we turned to a savory main dish called Pork Roast with Mangoes and Lychees. I think the word “lychees” in the title of this recipe is the reason why it’s coming so late in the FFWD rotation. Until I actually read the recipe, I had a hard time envisioning something tasty. Once I read the recipe, I knew it would be good! Kind of a French-Asian infusion. This recipe starts with a fairly small pork loin roast, which is browned in a Dutch oven. The braising sauce is built by first sauteing chopped onion and garlic. Red wine vinegar is added, along with soy sauce, lime juice, honey, piment d’Espelette, a bay leaf, thyme, and fresh mango. I could not find lychees, fresh or canned, so I left them out. Put the pork roast back in the pot and gently braise for just under an hour. This was good! The pork roast turned out tender and juicy, something that is not always easy to achieve with pork loin. 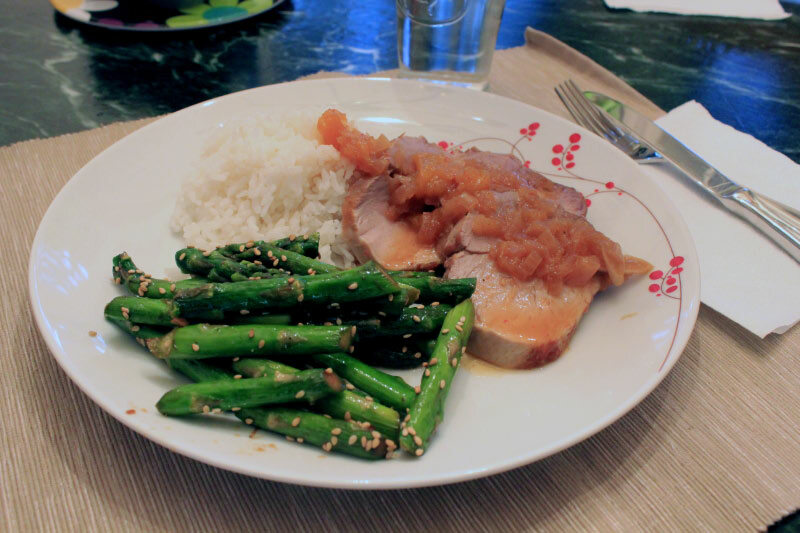 The mango added a lovely flavor to the sauce that tasted delicious with the pork. The Asian influences inspired my sides: sticky rice and Sesame Asparagus. I really don’t think we missed anything by not including the lychees. 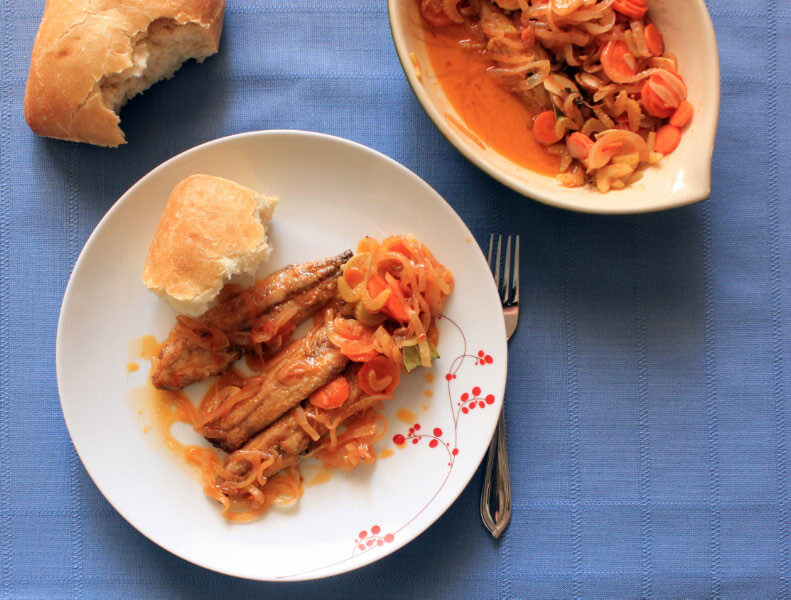 If you are looking for something a little different to make with pork, give this recipe a try! Happy French Friday! I am going to keep this short and sweet because I am busy packing for a Spring Break trip to Seattle and we leave tomorrow morning. 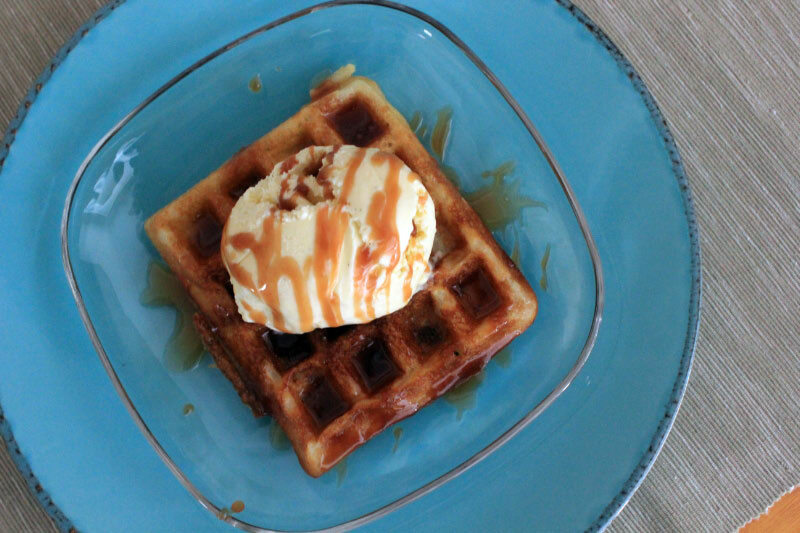 This week for French Fridays with Dorie, we made a tasty dessert called Waffles and Cream. 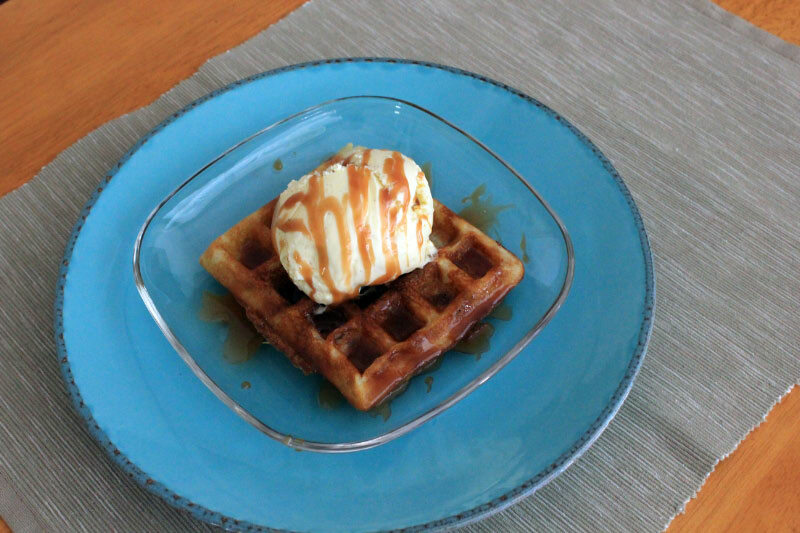 I decided to really go for it, and not only made the waffles, but I also made the ice cream and the caramel sauce. I used the Vanilla Ice Cream and Warm Caramel Sauce recipes from the “Fundamentals and Flourishes” chapter of Around My French Table. The group isn’t officially trying to complete those recipes, but I am giving them a try when I have the chance to pair them with other recipes from the book. 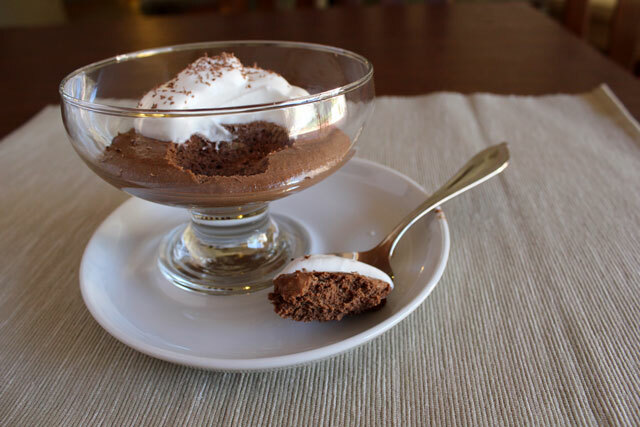 What a tasty and decadent dessert! I loved the waffles, they were light and crisp and rich all at the same time. The vanilla ice cream and caramel sauce topped them off nicely. I would like to try these waffles for breakfast some time too. They would be wonderful with berries and whipped cream. I will try my best to read the rest of your FFWD posts, but it is always tricky when you’re out of town. I hope you all have a wonderful weekend and week!